Pioneers in the industry, we offer high watt density cartridge heaters, standard cartridge heaters and high temperature cartridge heaters from India. High Watt Density Cartridge Heaters manufactured and supplied by us are demanded for diverse applications in various industries. Our vast experience in this field enables us to design and develop high-density cartridge heaters in compliance with clients' specific demands. Manufactured using certified components and raw material, the performance and life expectancy of our High Watt Density Cartridge Heaterssupersede other cartridge heaters available in the market. Standard Cartridge Heaters that we bring forth for our esteemed customers have several advantages over the other types of band heaters available in the market. Further, with the aid of our highly advanced R&D unit, we consistently deliver upgraded versions of standard cartridge heaters. Clients can avail these heaters in varied specifications. 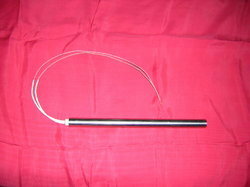 We are one of the leading manufacturers of a wide range of High Temperature Cartridge Heaters. Cartridge Heaters with Flexible High Temperature Wires that we offer to our customers are manufactured using chromium nickel resistance wire. Offered in various lengths, supply voltage and diameters, these cartridge heaters have helped us cater to the variegated demands of clients. 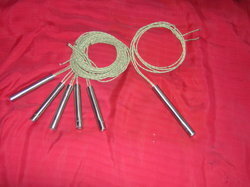 Looking for “High Density Cartridge Heater”?